This book wasn't quite what I had expected. I didn't expect a science fiction (based on the title), but I also didn't expect the stream of consciousness and history lesson that is this book. On the one hand, I became wrapped up in the history and exploration of memories. On the other hand, I found myself skimming over pages, wanting to finish and absorbing only the minimum. I didn't put the book aside though. For some reason, I felt that I should read this book precisely because I didn't really want to read it... Perhaps with the idea that reading a book like this would keep me from getting trapped in a certain type of style or genre at the moment. Who knows. So, for me, this book was both a love-hate experience; at once a pleasant change and also a bit of a slog. 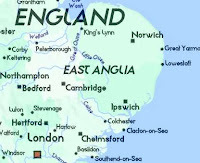 The book explored the history of not only East Anglia, but of much of the world through the amblings of the protagonist. The novel reads as the stream of consciousness of the protagonist as he wanders about the countryside. He delves into the history of a particular residence, noting its past extravagance and current decay. Events hop from the local to the international in a matter of words. The reader is swept from the history of an English countryside estate to the history of China's Dowager Empress through the tiniest, but most relevant, connections. The novel does not necessarily paint the most hopeful or beautiful pictures of the past, present, or of humanity. Through the histories and relics of previous days, the novel discusses the rise and fall of individuals and empires, brutal power-mongering, the oppression of peoples, scientific discoveries and innovations, incredible vanity, and eventual decay. The present for the protagonist is often empty, lacking people, and in a state of decline. There isn't much to explain the title. The final words of the synopsis on the cover of the copy I was reading says, "Sebald's art is as strange and beautiful as the rings of Saturn, created from fragments of shattered moons." 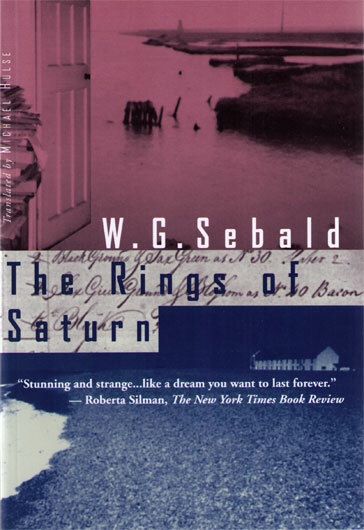 Also, at one point in the novel, the protagonist also describes how the rings of Saturn are fragments of a lost moon. My conclusions are something along the lines of how the present isn't an isolated event, but the result of a myriad of past histories and events, not only local, but also global. I will leave you to draw your own, though. All in all, I both enjoyed this book and wished for its conclusion. It is an interesting book and one that requires more thought and analysis than I have put forth here! It would be a good book for a book club discussion or even as part of a university class. (I consider reading Dostoevsky in a similar light: great to discuss, a bit of a slog to read...). I am glad to have read this book, though, because in it there is a good sum of material for musing. This novel describes the wanderings through East Anglia of the nameless protagonist. The novel explored the history of the area and its current state. Relevant pictures accompany the text throughout the novel. 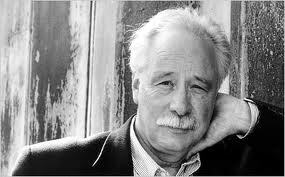 WG Sebald was born in 1944 in Bavaria in Germany. He grew up in Wertach, Bavaria. He studied at the University of Freiburg, where he received a degree in German literature in 1965. In 1966, he became an assistant lecturer at the University of Manchester. 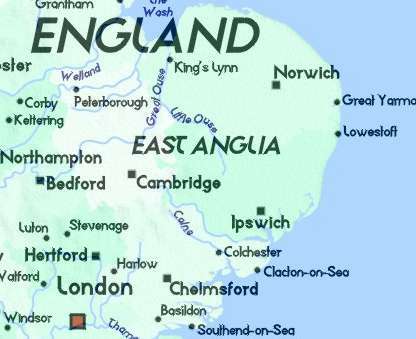 He went on to become a permanent professor at the University of East Anglia in 1970. Later in 1987, he was appointed to a chair of European Literature at the university. And in 1989 he became the founding director of the British Centre for Literary Translation. He suffered a heart attach whilst driving, which caused the car accident in which he died in 2001. 1. The ambling about the English countryside. 2. 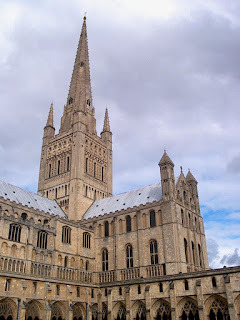 The hops and connections between events and histories. I enjoyed that one moment we were discussing science, then an international event in history, then back to English history. It flowed well from one to the next. 3. The bleak, but somehow sentimental mood of the book.